I would like to talk to you about autism. I know, we talk about autism a lot, you and I. But somehow things have gotten off track and I really think that I need to make something very clear. Not for for you or my neighbor or for other people but for me, right here, right now. I have been living with autism my entire life and didn’t even know it. It wasn’t until I discovered that my son has autism that I truly came to grips with what it really is. And I’m not talking about what I’ve read in medical research studies or transcripts or expert opinions or even public opinions. What I mean is, I know what autism is, to me. This may sound a little strange but in a very general sense, autism is everything and it is nothing too. Autism is the way a person perceives the world around them. It is the way they take it in, interact with it, experience it, process it and live with it. It’s the filter with which all reality flows through before becoming our own reality. It shapes a person’s past as well as their future. With each step forward, all that is involved in that step flows through a vail of autism which invariably alters the course they take towards their next step. Each step being a direct result of the step before it, exponentially affecting further steps ahead. We become a product of our combined experiences, each of which, affected and altered, whether for better or worse, as an effect of autism. At the same time, autism is nothing, neither tangible or quantitative in it’s existence any more than any other thought, memory, expression, synaptic response or neurological interpretation to stimuli that every living thing is privileged with in it’s existence. It’s a unique perception unlike any other making it exactly the same as any other. It’s a tasteless, touchless, odorless, inaudible and invisible anomaly that isn’t really there. There’s more, and this is important. So hear me out. Autism is not a fight between parents. Autism is not a battle with the school board. It’s not about who is functioning higher or lower than someone else or even about what “functioning” even means nor is it about who should and shouldn’t be cured. Autism is not about what a person looks like and it’s most certainly not about tendencies that a person might have, homicidal or otherwise. It’s not about taxing the system or making life hard on a parent and it’s definitely not about organ transplant bureaucracy. Autism is not politics. It’s not religion. It’s not about you or me and it’s certainly not about you versus me. I am tired. I’m tired of all of this. I’m tired of reading stories in the news about mothers killing their autistic children. I’m tired of people making horrendous and false claims in the name of autism. I’m tired of the fighting, I’m tired of the name calling and I’m tired of the people who can’t admit when they’re wrong. I’m tired of people that are judgmental and I’m tired of the people who think it’s funny. I’m tired of people telling me what I should and shouldn’t believe, what I should and shouldn’t say and what I should and shouldn’t think. I’m really, just tired. Very tired. So here it is, as simple as can be. Autism is me. It’s my son. It’s the little girl who can’t speak but screams with every breath she takes. It’s the little boy that completely loses control one moment but creates his own computer operating system the next. Autism is the man that needs a heart transplant to live. Autism is the young woman that goes to Washington to fight for people she doesn’t even know but loves. Autism is the life taken far too early by the parent that didn’t know what else to do. Autism is the life that wandered away from safety, scared and unknowing of the dangers around them. Autism is not a disease. Autism is not a battlefield. Autism is not an opinion. Figure it out. Work it out. Because autism is a lot of people. Autism is the perception, the experiences and the reality that effects and shapes what is to become a person’s life and yet, it’s nothing too, for all the same reasons. Glad I found your blog, comrade. This is absolutely fantastic. Thank you for this blog entry. Yep. the drama gets old fast. I don’t want to fight over treatments, respect, definitions or perceptions. We are all a part of this. Attacking each other is pointless, demeaning and frankly exhausting. Keep up the good work. I will be here with you, with the countless autism parents, kids and all the others who struggle and celebrate this crazy world. I agree, autism is a lot of people, it’s good to remember that. I liked this post, I was going to comment something more before but I can’t remember what I was going to say. Beautiful, Stuart! I couldn’t have said it better. And while the rest of the world is working it out, this also-tired mom is sending good thoughts & wishes your way. This is amazing and more. You honestly took the words right out of my mouth! 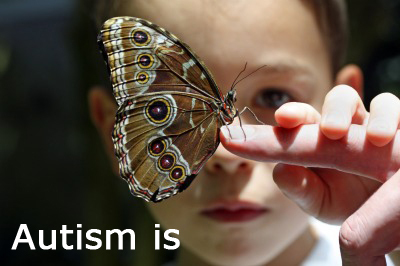 I’ve written a post about perceptions of autism tonight and linked to you because your quotes: ‘Autism is not an opinion’ and ‘Autism is not politics. It’s not religion. It’s not about you or me and it’s certainly not about you versus me’. are fantastic. You need to add them to your “quotes” page. I will be sending all my friends to your page because it’s just THAT wonderful. Great post and so true! Autism is people. A lot of people both children and adults.